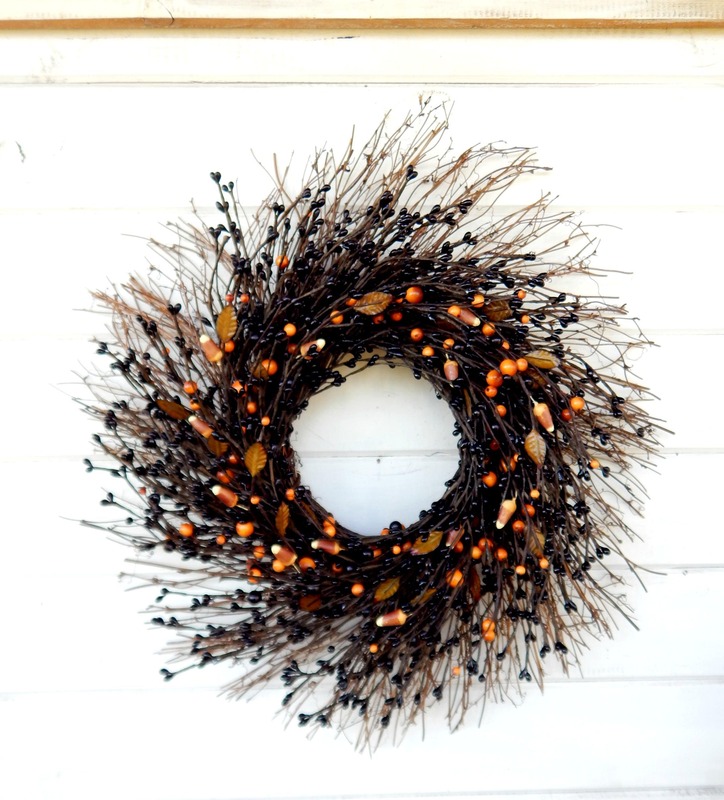 A Black Candy Corn Wreath!! 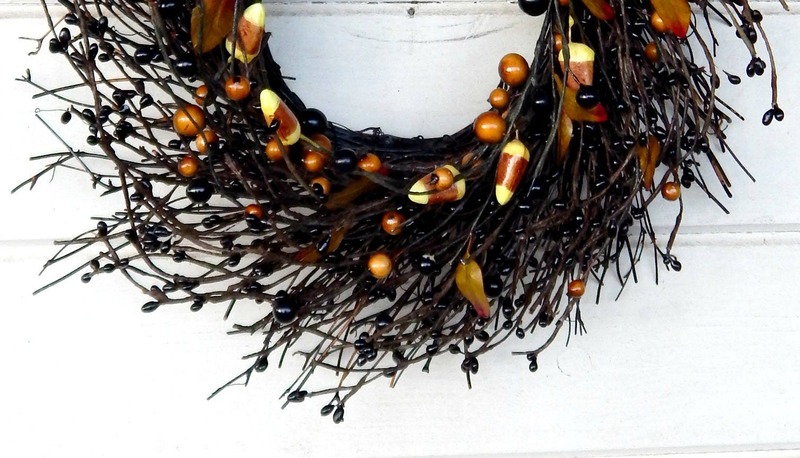 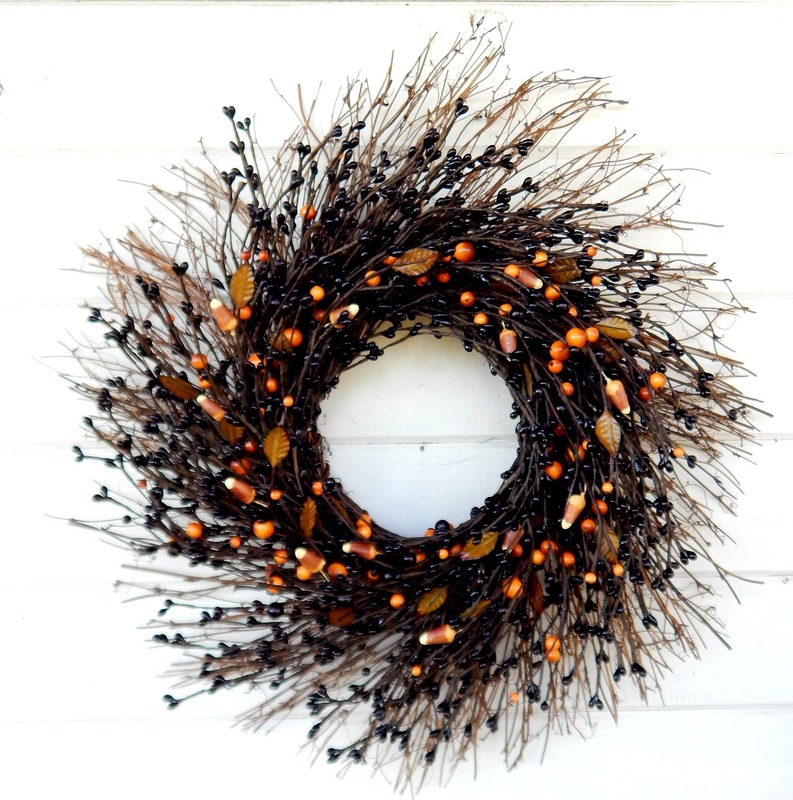 A Twig Wreath with artificial Black pip berries and Candy Corn. 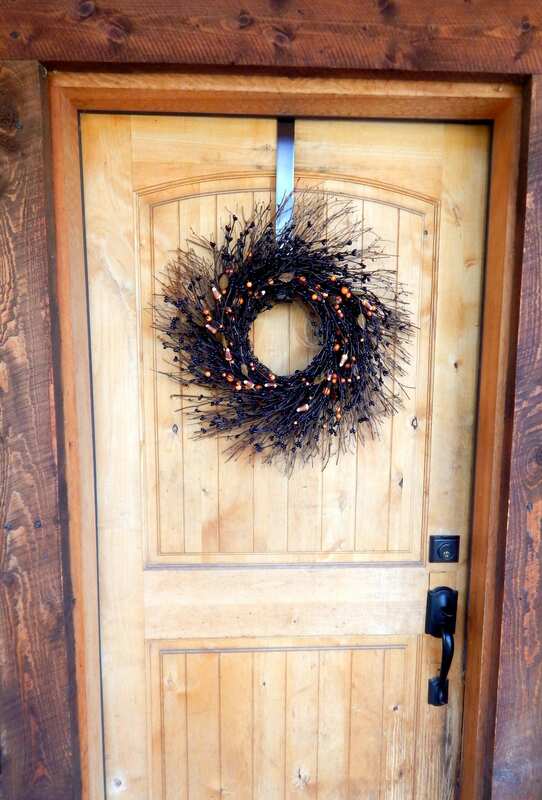 Perfect wreath for Fall & the Halloween.